Take M62 east towards Hull. Exit the M62 at junction 35 the M18 and follow M18 south until junction 5 being the M180. Take M180 east towards Scunthorpe. Exit MI80 at junction 4 and take the A15 south towards Lincoln. Follow this minor road for 0.7 miles which leads down Manton hill and past the Old School House. At the small junction at the bottom of the hill turn right into the village of Manton follow the road for 0.2 miles around the grass paddocks. 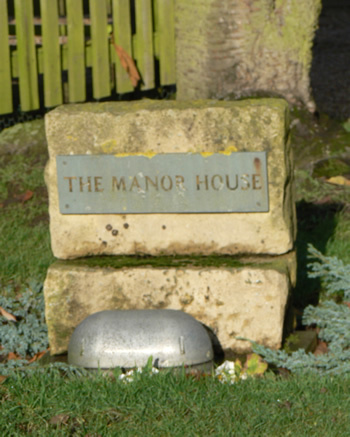 Shortly after the two bungalows on the right, there is a driveway to the left and a stone plinth with a slate sign “The Manor House” . The driveway is lined with Chestnut trees. The house is built of stone and has a pan tiled roof. It is situated by a pond. At a staggered junction turn left on to Gainsthorpe Road East. You pass stone houses on your right hand side and then you will cross over a railway . Stay on this road for a 1.1 miles. You will then come to a cross roads with the B1398. Turn right towards Scunthorpe and stay on this B1398 for 0.9 miles passing a quarries first on your right and then on your left. Turn left to Manton passing the entrance to the quarry.